Satellite Beach: Yes, We Are Working On The City’s “Non-Public” Public Meeting. On Monday, September 17, 2018, the City of Satellite Beach had scheduled a workshop with other area officials and entities concerning the health issues being raised by citizens and others. That meeting was abruptly cancelled and changed to a non-public meeting without allowing the general public to attend. 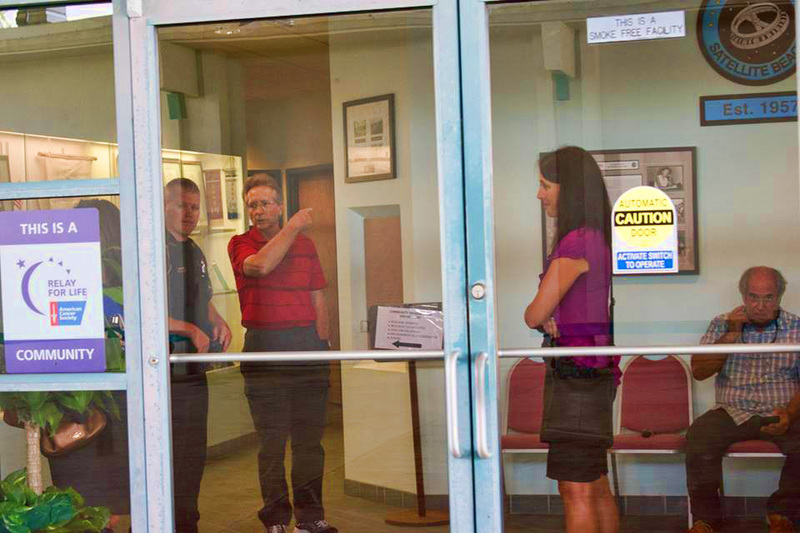 At Monday’s meeting, Satellite Beach Mayor Frank Catino denied access to about a dozen concerned citizens at the council chambers door. Catino told them it was a private meeting, because fewer elected city officials were there at any given time than would trigger Florida’s open meetings law. He and council members Mindy Gibson and Mark Brimer rotated in and out of the council chambers to avoid breaking state open meetings law, which requires public notice and public access if two or more elected city officials are present. City Manager Courtney Barker said the city kept invites limited to keep the meeting professional and focused. “There is a level of professionalism that’s being lost,” Barker said. We agree that there is a level of professionalism being lost in this, but that professionalism starts with the actions of public servants, and that includes following the law. That did not happen here on many fronts. Secondly, Mayor Catino has (and in our opinion) rightfully not hesitated to have disruptive audience members removed from public meetings before. If a member of the public gets out of hand, you remove them. Period. What you don’t do is say “we think that the public may be disruptive” and then illegally make a public meeting with public officials concerning an interest of the public to be off limits to the public. We are working on a more comprehensive post about this incident and will have it up and posted soon. Have civil rights of city residents been violated by selective inclusion? And with today’s technology should the meeting not have been piped in to a different area to all hear it? City taxpayers may have just been trampled on again. The city charter anyone? More to come! Show me a good loser, and I’ll show you a loser.